Blue Star Recycling – Page 2 – E-Waste Recycling, Asset Managment, Hard Drive Shredding and More! Memorial Day…the day when we give thanks to our men and women who gave the definitive cost…their lives. We are free today because of their bravery, and selflessness. We, at BlueStar Recycling, encourage you to thank the heroes; those who are serving and fighting to preserve our nation and keep us safe. What they do is so important and deserves our gratitude. Memorial Day is much more than a holiday where we attend barbeques, fairs, and picnics. We stop and consider all of our finest who gave on the battlefields and elsewhere. War is not only gaged on the frontlines. It is fought in our cities, and on the homefront. Teach and read to your children about who defends our country, who the people are who dress up in fatigues and proudly walk our streets to keep a vigil so that we can remain confident. Celebrate what independence means to you. Celebrate for the children who get to meet their dads for the first time. Celebrate for the wives or husbands who come home and are able to find jobs. Celebrate what you have because of what has taken place in foreign lands and at home. Remember the uniform…remember that it stands for freedom, justice and our America! Mother’s Day…A Day of Her Own. Mother’s Day is an entire 24 hours set apart to honor mothers. We celebrate that special woman who, in most cases, gave us life. She is the one who raised us, gave us meaning, integrity, and a place in this world. We celebrate motherhood in general, the gift of maternal nurturing, bonding, and the inspiration that moms play in our culture. Our relationship with our mothers is one like no other! As we look back, we may remember the delicious aroma of dinner, baking cookies, reading stories, learning how to ride a bike, and receiving a kiss or a hug goodnight. Mom was the Brownie leader, the one who helped with school projects, the one who braided our hair, paid for the barber, and held our hand across the street. She also said NO…a lot! We know that while she only did that for our own good; in our own minds…it wasn’t! Over the years, the role of mom has evolved to more than dinner on the table, or team mom for soccer, and Little League. Mom now is often the dad too. She might wear many hats in a family, and be the one who “brings home the bacon.” The new American family might have mom at the helm as Mom 2.0. While Mother’s Day is not a federal holiday, some businesses close, while some flourish with record-breaking sales. Always celebrated on a Sunday, celebrations around the Bay Area remind us that our attention, for all the things that she has done and continues to do for us, be turned toward mom. During the year, it is the most popular day for telephone calls. Mother’s Day celebrations began in the U.S. around the 20th century. With a few intervals over the years, the heartfelt “holiday” is now well-regarded with hand-made gifts, flowers, a meal out, a BBQ, a movie, a greeting card, and/or a phone call. This Sunday, May 10 – we honor those we call “Mom! Earth Day was the genius idea of Senator Gaylord Nelson, in 1970. Earth Day now draws millions of participants to a day and weekend dedicated to celebrating the earth’s environment. Many celebrate Earth Day by spending time outdoors planting trees, cleaning up in parks, going on nature walks, and learning more about our precious Earth and how we can help preserve her beauty and resources. With April 22 designated as Mother Earth Day, activities are happening all around the Bay Area, where parents and children have the opportunity to immerse themselves in fun deeds that celebrate the joy that our planet Earth brings to us. 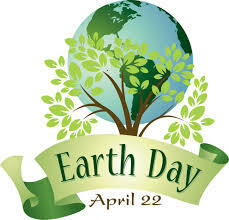 One way that we, at BlueStar Electronics, encourage the strength of Earth Day is to dispose of electronics responsibly. Dumping technology just anywhere is totally unacceptable, which is why we inspire others to bring in or schedule a pickup where we can claim your spent electronic waste and in many cases, turn it around for reuse. BlueStar Electronics is your electronic waste company dedicated to Mother Earth and saving her for future generations. Many are uneducated and do not realize the ramifications of disposing waste improperly. By visiting our website at www.bluestarco.com we explain to and educate our customers about how we help clean up the environment, and save Earths’ citizens from illnesses due to toxins that are associated with illegal and unethical dumping of electronics. Our planet deserves a positive environmental impact, and it’s up to us to bring it! Curbside Recycling is it Safe? Having unquestionable faith in the curbside electronic pickups can be challenging. When we have spent technology that dearly needs to be recycled, reclaimed, or reused, it’s our responsibility to seek out a good recycling company who can be trusted to dispose them properly. When we place our belongings on the curb, do we know what happens to them? Will they be portioned off responsibly, or sold to the highest bidder in another country? Often it’s hard enough to give up our technology; doing the right thing to help the environment. We do become attached to that monitor, cellphone, laptop, or tablet, and we often give them nicknames. It’s for our own good that we replace what has outlived its usefulness; however, we need to find a responsible recycler – one who is accountable for reselling the parts to the right handler once we have learned to let go. BlueStar Recycling Company, in Hayward, CA is an experienced recycler that we can depend on for disposing of our electronics correctly. We can be assured that once the components, glass, wire, metal, and plastics have all been separated, a trusted third party may get involved in the sale of those parts to build new, current, and often cutting-edge technology that will help make our lives easier and more efficient. Before you place your electronics on the curb, please consider a person-to-person pick up or drop-off with BlueStar Recycling Company – a responsible recycle, reuse, reclaim, and resale enterprise. Schools eat up the recycling-for-a-cause events since they are hurting for funds. They are eager donate electronic waste to help raise the money that is taken away through budget cuts, and mandated programs that deplete school funding. Often, events are held in tandem with other weekend events; car washes, mini-carnivals, Shred trucks, etc. Students also help raise the money needed for programs, bus trips, new electronics, uniforms, instruments, and more. A recycling company (BlueStar) is called to setup and collect monitors, hard drives, TVs, laptops, old cellphones, printers, computers from the public who drive them in. Teachers, students, and parents happily show up to help cut wire, unload electronics from vehicles, collect money (usually an employee from Blue Star does this), and general set-up and clean-up after the event is over. The students send out E-vites online, post on Facebook, Tweet, send home fliers with other students, and ask their parents to help, or advertise at their work…anything to get the word out. Students often earn community service points – a graduation requirement at many schools. They work hard, and look forward to the end of day rewards (find out the cut for their class goal). When this type of event is encouraged, students learn so much about finding their way. They find a way to get what they need by putting a little of themselves out there. Helping the environment is a great lesson in appreciating what they have, what their future can hold, and how their efforts impact others. They are to be honored for their service, bravery, and giving back attitude. We welcome them home with pride. November 11 is Veteran’s Day, a federal holiday. It is a day to honor or memorialize those who have fought in diverse ways to keep us safe. We say thank you, offer a heartfelt handshake, a simple nod, or an honest hug. Veteran’s Day is a United States holiday that tributes those who have served in the U.S. military. Armistice Day was the original name of the holiday, signifying the anniversary of the end of World War I. In 1954, the name was changed to Veteran’s Day. Armistice Day is still celebrated in various regions and countries around the world. November 11 was claimed as the official date as World War I, for the most part, ended at the 11th hour of the 11th day of the 11th month in 1918. This was the day that the armistice with Germany was made. We will always remember the heroes still living or the ones who gave their lives for our freedom. Veteran’s Day is now honored each year with elaborate ceremonies, parades, and other events celebrating peace and the return of our courageous men and women who gave of their time, their expertise, and their lives to keep our country free. We at Blue Star Electronics Say thank you to all that served for our country! With summer winding down, you might begin thinking about your school electronics. Your school or college should have a recycling plan for your old technology. Instructors and school officials need to be aware of what to do with old recyclables. Calling for an appointment or dropping off at our location is a wise decision to keep us all safe from the hazards that could potentially send fumes, dust and particles into the air that are definitely harmful to our health. Our waterways are also at risk. Disposing properly will ensure a brighter future for our environment. 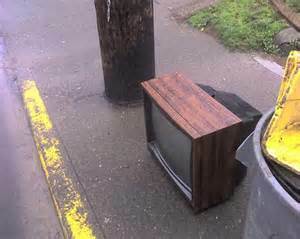 While shopping for new electronics be mindful that landfills, and dumpsters are not the places for your old computers, laptops, printers, monitors and wiring. BlueStar Recycling offers many programs to relieve your school or company of the hardware that has a destiny to become another usable part of our lives. Drop-offs are always welcome at our facility in Hayward. We, at BlueStar Recycling are also willing to pick up at your school, college, or company. On occasion, events are held to drop-off electronics to benefit charitable organizations. 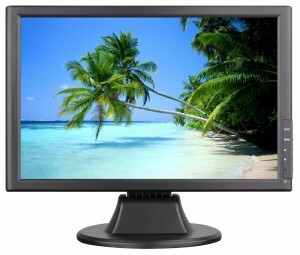 In Turn we also Re- Sell LCD Monitors, Computers and Laptops at great prices. While wishing you a great year, we thank you and look forward to serving you in your concerted efforts to help save our environment. Earth Day…April 22, is a notable event celebrating our environment. Recognized annually, we exhibit characteristics supporting: practical education, activities to clean up our surroundings, and recycling items that are toxic to our population, and atmosphere. First proposed in 1969, by John McConnell – peace activist, Earth Day was founded to honor our Earth, with a way to bring about peace. On April 22, 1970, Earth Day was made official in the United States, engaging activities focusing on ecological concerns. We are encouraged to participate in Earth Day events that not only promote harmony, but also to remove those items that could be deemed harmful to our planet. Bluestar Recycling Company is committed to helping rid the planet of toxic waste educating the public with the idea of security, safety, and overall optimal health. BlueStar prides themselves in keeping your data secure, while collecting electronics that could potentially pose a danger. Remember to check out appropriate Earth Day activities in your community that help “give back” assisting in reclamation, removal, or recycling to keep our environment clean and safe. A recycling company (BlueStar) is called to setup and collect monitors, hard drives, TVs, laptops, old cellphones, batteries, printers, computers from the public who drive them in. Teachers, students, and parents happily show up to help cut wire, unload electronics from vehicles, collect money (usually an employee from Blue Star does this), and general set-up and clean-up after the event is over.